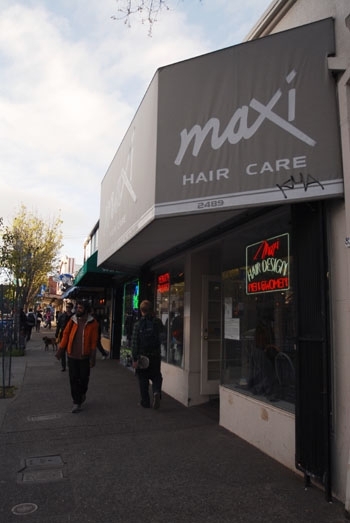 Hair salons like Edge Salon & Supplies on Channing Way are limited to a maximum of 10 as a part of the Telegraph business district. While some city of Berkeley officials say quotas for businesses have been successful in diversifying the city's economic sectors, some community members are advocating for the suspension - and even elimination - of quotas to fill vacancies and revitalize the city's economic climate. The Telegraph Business Improvement District, Solano Avenue Association, North Shattuck Business Improvement District and Elmwood Business District have had quotas in place since the 1980s to control rent - which was increased by certain types of establishments, such as restaurants - and encourage business diversity. However, in recent years, concerns about the effectiveness of these quotas have been voiced by some community members, who say the quotas no longer serve their intended purpose of increasing business vitality in the areas. During the city's Planning Commission meeting April 6, Roland Peterson, executive director for the Telegraph Business Improvement District, asked the commission to eliminate all quotas in the district. The district currently has two quotas: one for barber or beauty shops and another for food service establishments, which also includes subcategories for carry-out food services, quick service restaurants and full service restaurants. The city's Southside Plan, which was referred to the Berkeley City Council at the same meeting last week, abolishes the quota on the district's full service restaurants while maintaining the other quotas to encourage small business variety. In December, Councilmember Laurie Capitelli submitted a proposal to suspend quotas on Solano Avenue for about two to three years. "We're hoping to suspend them to generate economic activity," Capitelli said. "There have been ... some businesses that have had lengthy delays in order to get their permit (and) there have been others that have been discouraged from moving forward." On Solano, there are about 70,000 square feet in vacancies, 90 percent of which are on the easternmost block of the avenue, according to Allen Cain, executive director and events manager of Solano district. "We're desperate to fill vacancies on the avenue and a lot of the businesses that are exploring and investing on Solano are restricted business types," Cain said. "We have high expectations that (a suspension on quotas) will diminish the number of vacancies." According to Peterson, the current quotas have increased the number of vacant lots - which are usually left unoccupied for long periods of time - and slowed the Telegraph district's ability to address commercial needs, as prospective owners have limited choice in locations since spaces are sometimes only appropriate for certain types of businesses. The quotas also limit the establishments' abilities to diversify their services and force them to stay in the same locations, Peterson said. "What you tend to get is when the salon leaves, you get another salon," he said. "You hold that (location) until the next type comes around." While some community members, including Peterson, advocate for the removal of quotas, Councilmember Kriss Worthington - whose district includes the Telegraph area - said the quotas have encouraged small businesses to remain in the city, adding that businesses in the Telegraph district need to be consulted before any changes are made. "If restaurants got together and say, 'This isn't working' ... I would have a very open mind, but doing that without consultation is poor planning and very anti-small businesses," he said. Councilmember Gordon Wozniak - whose district includes the Elmwood Business District - is in the process of conducting an online survey of his constituents to better understand the neighborhood's feelings toward the business district and its regulations, including the quotas. "The quotas are somewhat controversial," Wozniak said. "We're working on our questionnaire or electronic survey we're going to send out in the next days to neighbors."